The Originals is coming to an end. Recently, The CW released new details for the TV show’s upcoming finale. Currently in its fifth and final season, the supernatural drama centers on the world’s first family of vampires and their struggle to stay together. The cast includes Joseph Morgan, Daniel Gillies, Claire Holt, Phoebe Tonkin, Charles Michael Davis, Daniella Pineda, Leah Pipes, and Danielle Campbell. What do you think? Are you a fan of The Originals? How do you hope the series ends? 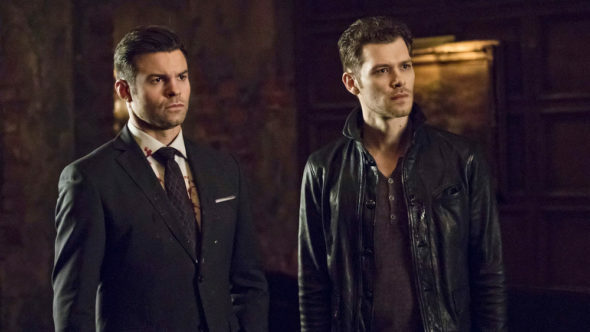 More about: The CW TV shows: canceled or renewed?, The Originals, The Originals: canceled or renewed? Love it!! Please end it happy and better than TVD which had a horrible ending! Please please please do better!! ( Leave out the bad wigs too!) One of the best shows on TV, great actors!! Sorry to see it go! !